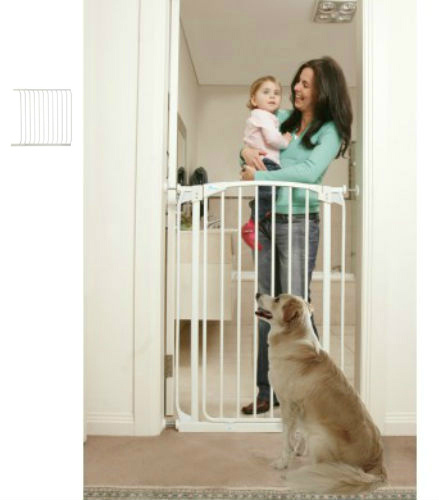 This Hallway Baby Gate package includes a white steel, pressure mounted gate with two 14 inch extensions able to reach openings from 67 to 70 inches in width. Features include a 20 inch door opening with a door that opens in both directions and swings closed automatically. Easy to set up and take down! 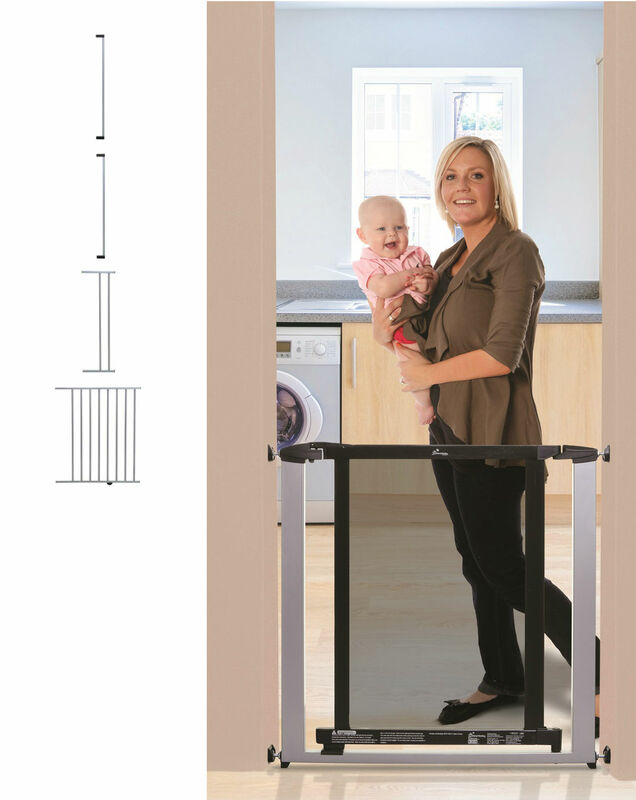 Hallway Security Baby Gate Plus 10.5 inch and 14 inch Extensions – White (63.5 to 66.5W) is an attractive pressure mounted gate, steel with a door which opens in both directions and swings closed automatically. Easy one-hand operation for adults. 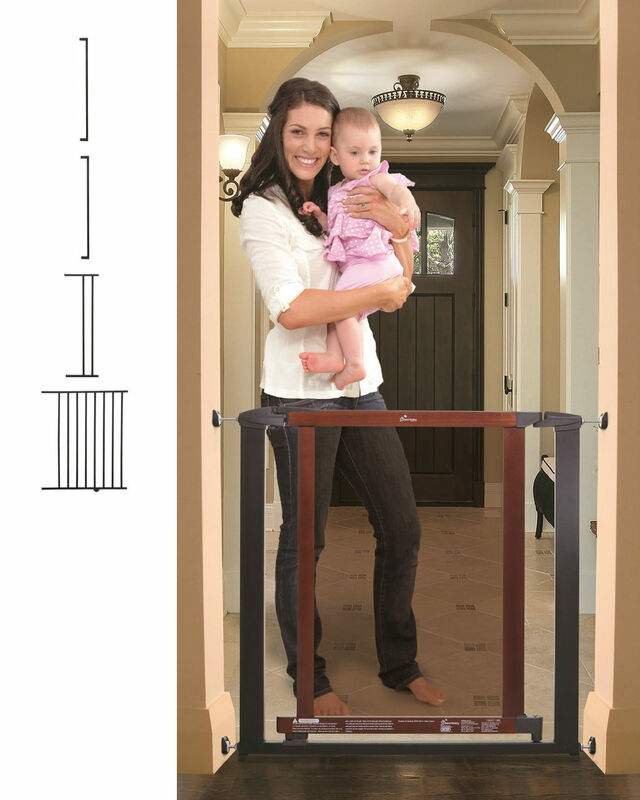 This Swing Close Baby Gate package includes a black pressure mounted gate with two 17.5 inch extensions. It is very easy to set up and take down. Great for wide openings, this gate reaches a width from 64 to 66 inches. 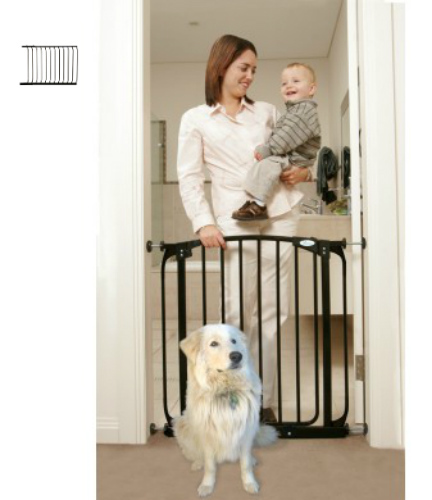 This Swing Close Security Baby Gate package includes a black pressure mounted gate with a 39″ extension. It is very easy to set up and take down. Great for hallways or doorways this gate reaches a width from 68 to 70 inches. Swing Close Security Baby Gate package includes a white pressure mounted gate with a 39″ extension. It is very easy to set up and take down. Great for hallways or doorways this gate reaches a width from 68 to 70 inches. Metropolitan Pressure Mounted Baby Gate Plus 2.5″, 7″ and 22″ Extensions – Charcoal w/Cherry Color Wood has a charcoal colored, steel frame with a cherry color wooden door frame and strong, tinted, polycarbonate panel. The Metropolitan Pressure Mounted Baby Gate Plus 2.5 + 7 + 22 – Silver with Dark Wood has a silver colored, steel frame with a wooden door frame and strong, tinted, polycarbonate panel. The door swings open in both directions. 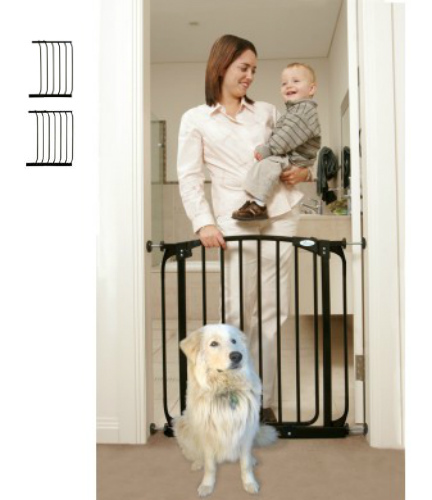 This Swing Close Baby Gate package includes a black pressure mounted gate with 14″ and 21″ extensions. It is very easy to set up and take down. Great for hallways or doorways this gate reaches a width from 64 to 66 inches.